Atelier Ten were asked to design the new purpose built showroom and service facilities in Hillington Park for West Coast Harley Davidson. 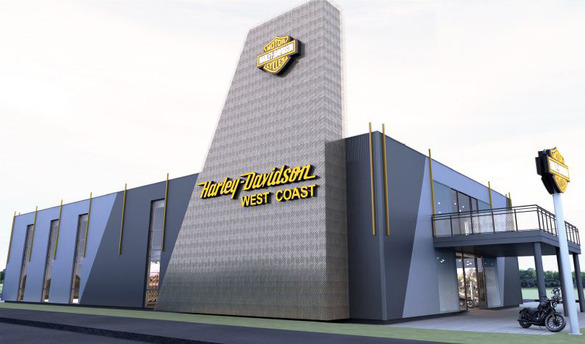 Having experienced significant growth in recent years WCHD were looking to expand their operation and chose to relocate new purpose built showroom and service facilities in Hillington Park which will be one of the largest Harley- Davidson dealerships in Europe. The new facility forms a ‘motorcycle village’ with the development of new Ducati Glasgow and Triumph Glasgow showrooms on the adjacent site. Atelier Ten carried out the full design of the MEPH services working in close collaboration with the client WCHD, interior designer, architect and workshop designer. An important aspect of the design was to ensure that the necessary Harley-Davidson brand standards were met whilst also achieving the necessary practical and building standards.